Virgin Palm Oil is palm oil that is traditionally made and maintains the natural nutrients of carotenes (precursors to Vitamin A) and the antioxidant tocotrienols (Vitamin E). Typical RBD (Refined, Bleached, and Deodorized) palm oil has these nutrients stripped from them resulting in a clear oil. In its natural state, palm oil is red in color due to a high concentration of carotenes and tocols. Palm oil comes from a tropical palm tree (elaeis guineensis - NOT the same as coconut palm trees), which is native to the tropical areas of Africa, where it grows wild. It is a traditional oil used for more than 5000 years in African countries, where small-scale family farms flourish. The palm oil palm was introduced to South East Asia in the early 1900s, and Malaysia is now the world leader in exports of palm oil (Tropical Traditions does NOT source palm oil from there.) Being an introduced crop to Asia, they are mainly harvested from large plantations. Tropical Traditions Virgin Palm Oil comes from West Africa, NOT South East Asia. Our Virgin Palm Oil is produced by small-scale family producers in Africa. When you purchase Tropical Traditions Virgin Palm Oil, you are supporting small scale family producers in Africa, and NOT large corporate plantations in South East Asia. Although scarcely used in the US, palm oil is the most heavily consumed dietary oil in the world after soybean oil. If one were to exclude the U.S. where most of the world’s soybean oil is consumed, palm oil would be the most popular dietary oil in the world. Palm oil traditionally has been used for baking, shortenings, margarines and deep fat frying, as it is shelf stable with a high melting point and does NOT require hydrogenation. Therefore, it contains no trans fatty acids. Vitamin E is one of the most important phytonutrients in edible oils. 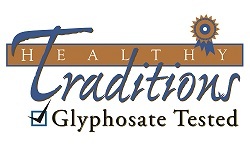 It consists of eight naturally occurring isomers, a family of four tocopherols (alpha, beta, gamma and delta) and four tocotrienols (alpha, beta, gamma and delta) homologues. While most Vitamin E supplements on the market today are composed of the more common tocopherols, tocotrienols are believed to be a much more potent antioxidant than tocopherols. Tocotrienols are naturally present in most plants, however they are found most abundantly in palm oil extracted from palm fruits. Other sources are rice, wheat germ, oat and barley. 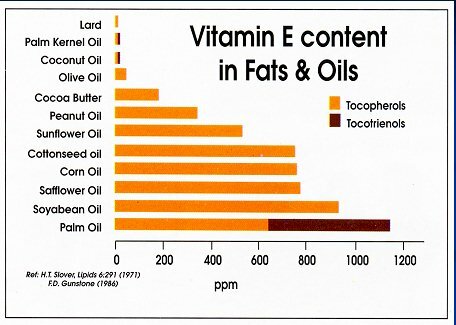 It has been shown by published research that alpha-tocotrienol is more potent than alpha-tocopherol as a form of Vitamin E. Since tocotrienols are a form of Vitamin E found less abundantly in nature than tocopherols, the research on this super anti-oxidant is still recent and ongoing. It is predicted that tocotrienols will become recognized as the new super anti-oxidant in the very near future. Virgin Palm Oil is one of your best sources for Vitamin E. Most Vitamin E supplements and skin care products on the market today are soy-based. In nature, there are approximately 600 known carotenoids, ranging from yellow orange to red hues and some 50 of these pigments possess Vitamin A activity of varying degrees. 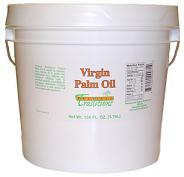 Virgin Palm Oil is one of the richest natural plant sources of carotenoids with concentration of 500–700 ppm. It has 15 times more carotenoids than carrots and 300 times more than tomatoes. No other vegetable oil contains carotenoids in such significant quantities. Analysis shows that alpha and beta carotenes constitute approximately 90% of the total carotenoid content. Note: Vitamin A in its complete form is only available from fats in animal sources, like cod liver oil. Carotenes are what our bodies (if they are functioning properly) use to convert to Vitamin A. While animal sources are a more readily available source of Vitamin A, Vitamin A can be toxic at excessive levels, whereas carotenes are not. 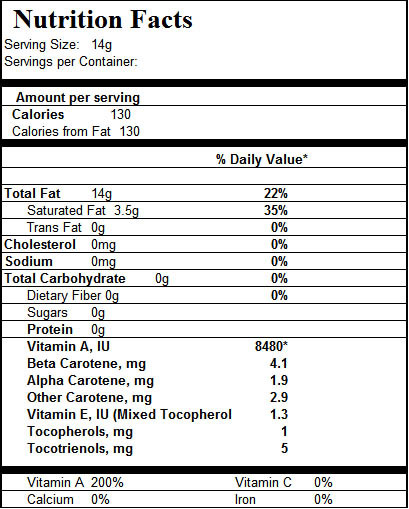 Therefore, Vitamin A toxic levels are not possible from consuming Virgin Palm Oil. 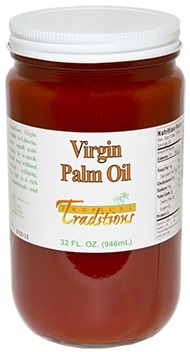 Tropical Traditions Virgin Palm Oil comes from West Africa, NOT South East Asia. Palm oil is native to the tropical areas of Africa, where it grows wild. It is a traditional oil used for more than 5000 years in African countries, where small-scale family farms flourish. When you purchase Tropical Traditions Virgin Palm Oil, you are supporting small scale family producers in Africa, and NOT large corporate plantations in South East Asia. Virgin Palm Oil has a very high smoke point at about 425 degrees F., making it an excellent oil for frying. However, the longer you use high heat, the more you will destroy the natural antioxidants. Virgin Palm Oil should not be reused after one frying. Studies have shown that about 70% of the carotenes are retained after one deep frying, but after 4 deep fries there will be virtually no carotenes left.